Under the terms of a $7.2 billion class action settlement that a US federal judge approved in November, starting this Sunday, merchants will gain the legal right to charge credit card-paying customers extra to make up for their processing fees. Currently, every time a customer makes a payment with a credit card, merchants are charged about $0.25 + 2.9% for the transaction, and for many years, major credit card companies have included a term in their merchant agreements forbidding merchants from using surcharges or discounts to encourage their customers to pay with cash instead. The result has been what antitrust theorists would call a market failure: credit card companies encourage their customers to use credit cards through appeals to convenience, a consumer-biased chargeback system, and, in many cases, credit card companies bribe users directly with a 1% rebate on all purchases, while merchants are forced to cover the cost – or, more precisely, pass on the cost to all their customers, cash, debit and credit card users alike. Powerful retail business organizations have been bringing antitrust lawsuits against Visa and Mastercard for this practice since 2005, and a settlement on the matter was finally reached last year in June. The deal includes monetary compensation of $6.05 billion to a wide array of large and small businesses, an agreement to cut transaction fees by 10 basis points (ie. to 2.8%) for eight months (an estimated further $1.1 billion in savings for merchants), and, most importantly, the nullification of the clause preventing merchants from providing incentives for using alternative means of payment. Some merchants are unhappy with the deal, believing they could have gotten much more in a trial, but in November, the settlement received initial approval by a federal judge, and tomorrow the main part of the deal will kick in. If merchants succeed in convincing consumers to pay more often with cash, the benefits in the retail industry will be significant. Although 2.9% may not sound like much, in many industries, businesses’ profit margins are not even three times that, so having more customers use a more efficient method of payment will be a significant boon. Restaurants in particular may benefit, as profit margins for them are often as low as 4%. In the case of online businesses, this significantly widens the door for Bitcoin adoption. Online businesses have to deal with not just fees, but also a significant amount of chargeback fraud. The issue is not a problem in all industries; according to a 2012 report by Cybersource, the average online merchant currently loses about 1% of their revenue to fraud, about 40% of which consists of fraudulent chargebacks. In the case of international payments, however, the loss rate is 2%, and some specific industries report loss rates that are even higher; one study in the manufacturing industry showed loss rates of 2-10%. If it becomes accepted for online merchants in these industries to accept Bitcoin as well, and, importantly, offer half of their savings to the customer as a discount, momentum for the currency may build up quickly. 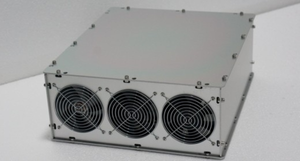 The Bitcoin Store already manages to offer customers electronics at prices significantly cheaper than major retailers like Amazon and NewEgg, largely due to the increased efficiency of Bitcoin with regard to fees, chargebacks and convenience, and with this settlement, passing on one’s savings by using Bitcoin will no longer be an either-or proposition; established merchants who would benefit from their customers paying with Bitcoin will be free to offer both methods of payment, with the advantages and disadvantages of each properly factored into the price, at the same time. 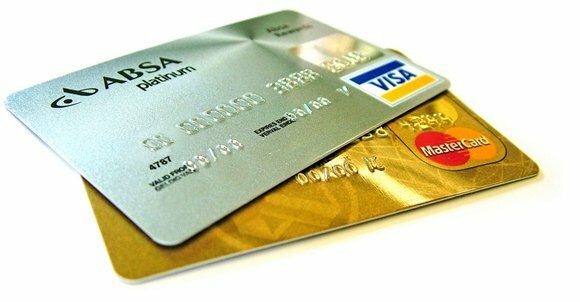 The outcome of the settlement is not going to transform the payments industry overnight; merchant agreements of the type Visa and Mastercard were requiring were already illegal in ten states, and the experience there has shown that antitrust rules alone are not enough to significantly disrupt the credit card oligopoly – the responsibility ultimately falls on the competition to present something significantly better. Payments technology may well continue to advance slowly for years to come, and Bitcoin exchanges still have a long way to go to before the currency can realize its potential in the mainstream retail industry. However, both for Bitcoin and for any other startups seeking to displace Visa and MasterCard, this decision is nevertheless a significant step forward.